When you sponsor, you will receive a Certificate of Sponsorship, Monthly email/text with updated photo and your sponsor animal's bio. Funds go to provide vet care, hoof care, feed and hay. Check back frequently as more horses will be added. 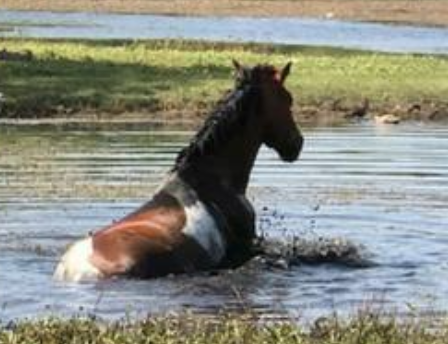 Click on the image of the horse below to begin your sponsorship. Meet Black Beauty (B.B. 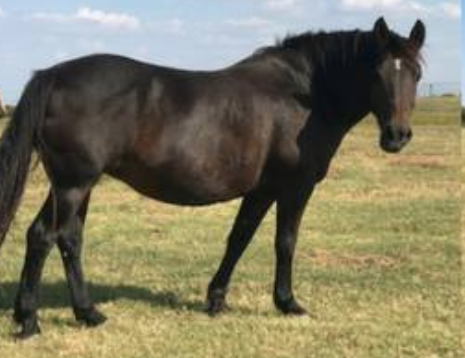 ), a 10 - 12 year old Percheron/Morgan mare. B.B. was headed for slaughter when one of our wonderful donors saved her, paying to bail and transport B.B. to Becky's Hope Horse Rescue. She has a great personality and is a big girl with a big heart. She would love to be sponsored. 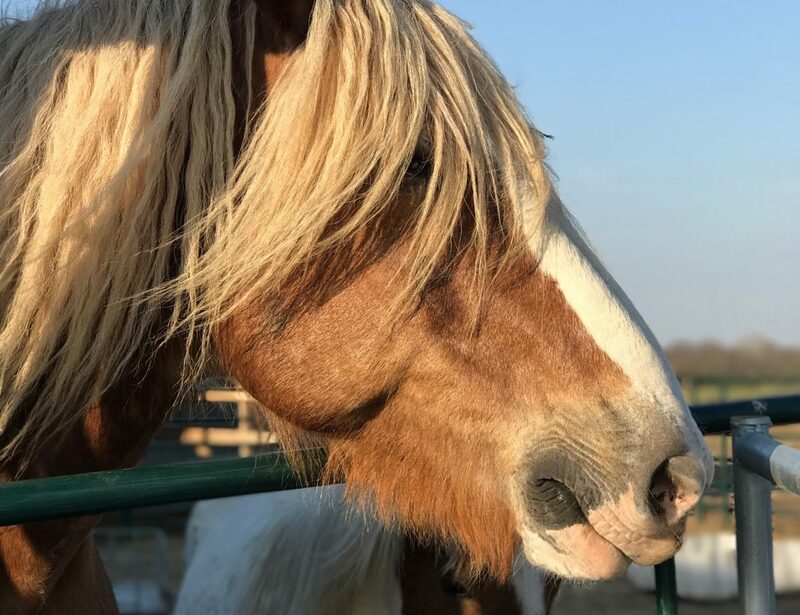 This is Chewy – he's an 18-year-old miniature gelding. 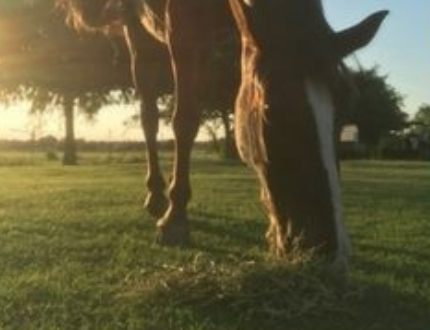 He was rescued from the kill lot.Chewy now spends his days grazing in the common area of the barn yard and is adored by everyone. Please consider sponsoring Chewy! He would really appreciate your help. MEET SPIRIT - We saved Spirit after a local dog rescue found her bleeding to death on a man's front yard. She had been tethered to a tree with no food or water. She tried to get loose by rearing and came down on a tpost that punctured her stomach and came through her shoulder. It was a miracle she didn't die. We had to do treatments every few hours for weeks. Amazingly she healed and had no permanent damage. Spirit is very sweet and just a baby herself. She was about 2 when we rescued her. She would love her very own sponsor. 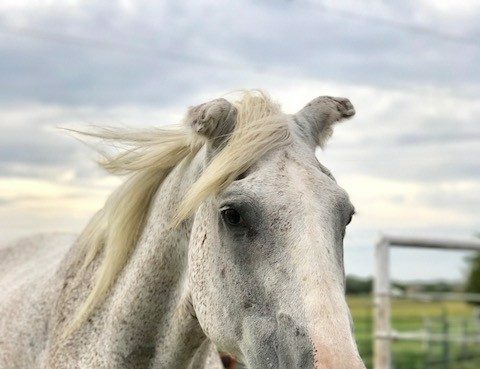 Meet Road Ruler Slew, (who we call DEMI) she is a beautiful, 7 year old, Flea Bitten Grey Mare. This stunning OTTB arrived the day before her 7th birthday from a fellow rescue group. She is a special girl who simply wasn't fast enough for the track. This beautiful boy is Maverick. He's a BLM branded Mustang, 20 year old Mav, came to Becky's Hope with another horse, YO when his owner called us and asked for help. The young man's parents were ill and he was sent overseas to serve in the war. He reached out to us to insure his beloved horses would be safe and loved. We found that Mav a growth on his leg that the vet was able to remove it and did not see any issues that would impede his movement or cause pain. We are thrilled to know he can lead a normal, happy life. 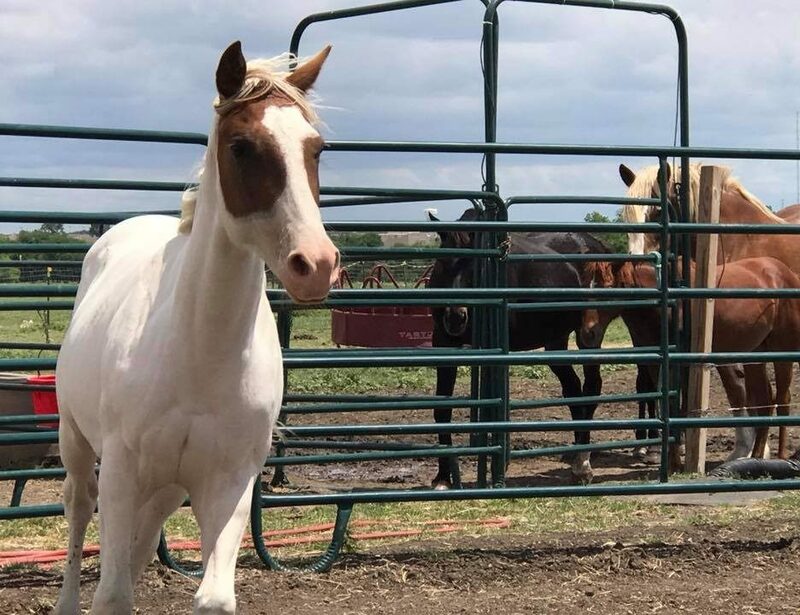 Maverick & YO are two of the many horses we have available for adoption. If you are interested in adoption, fostering or being his sponsor, please contact us. Maverick deserves a loving, forever home to call his own. 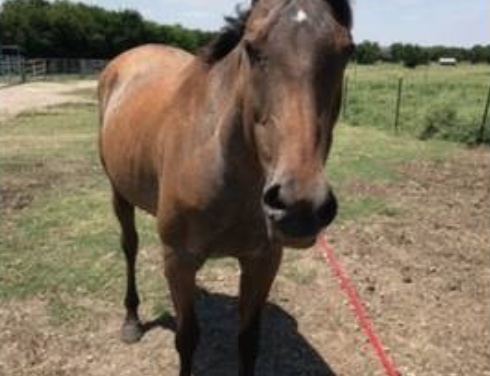 This is Remedy - she is a 21-year-old Appaloosa mare. 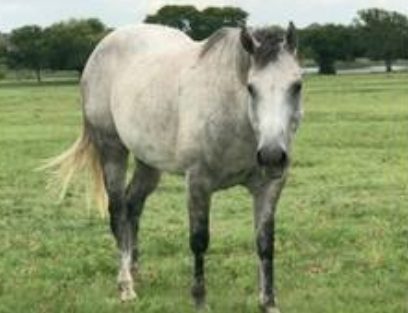 She was a privately-owned horse and was later donated to a university equestrian program. Eventually the school shut down the equestrian program and Remedy was brought to auction. Unfortunately, as can often happen, Remedy ended up at the kill pen. 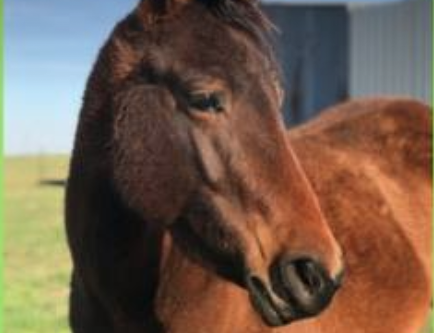 Luckily, someone recognized Remedy from a kill pen photo, as a horse from the school equestrian program. Sue was contacted and Remedy was rescued from being slaughtered. Our trainer Lari says she is a truly incredible western horse. 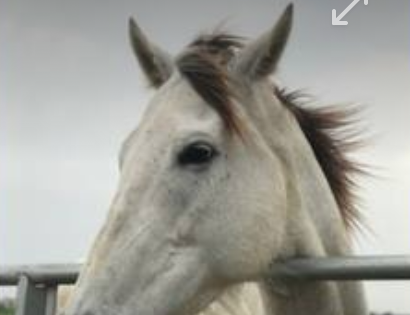 Please consider sponsoring this beautiful Appaloosa. A horse who has been given the second chance that she so wholeheartedly deserves. 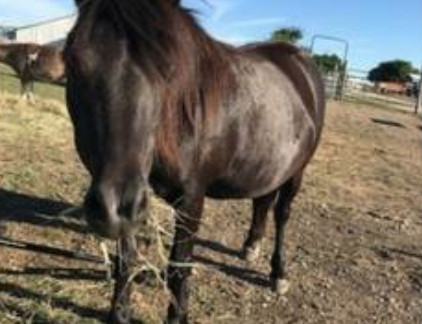 Muffit is a 20+ year old BLM caught mustang. 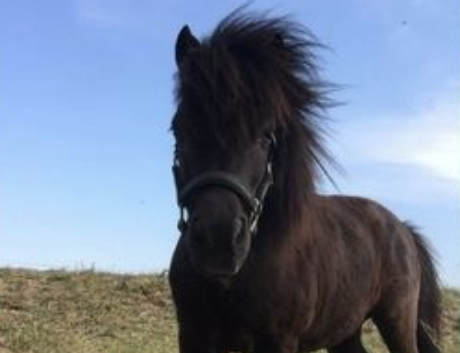 In 2013 we received a call about a small horse that was down in a field by herself. When we arrived at the scene this mare was discovered to be foundering in all four hooves and had an untreated abscess in a rear hoof as well. She was in tremendous pain, but managed to remain gentle throughout the entire rescue operation. She was immediately seen by a veterinarian for all of her ailments and treated accordingly. She has hoof deformities in both of her rear hooves and as a result, she is regularly seen by a Master Equine Podiatrist. 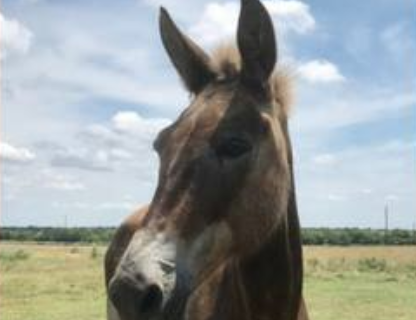 Owen is a mule who came to BHHR along with his herd mate Kiki. The pair had a family that cared well for them but were moving to Florida and would no longer be able to keep them so we accepted them into our rescue with open arms. They were both in excellent shape when they were brought to the rescue and are in need of forever homes. Owen is possibly mixed with Rocky Mountain or Quarter Horse. He can be shy around new people but he has been trained for saddle. He enjoys his new friends here at the rescue and is warming up to us a bit more every day. He would love his very own sponsor. Big ole Duke is a Belgian mix gelding. He is approximately 17 hands in height and around 13 years of age. He was surrendered to us by a couple who had fallen on bad times and could no longer afford to keep him. When we went to pick him up, we were saddened to find him living alone in an unkempt pasture. Duke has a calm demeanor. He has befriended several yearlings – Cisco, Angel and Shaw. They all enjoy their days together frolicking about in their pasture. Duke is very devoted to his “posse” of friends. Won't you please consider sponsoring Duke and help support him? 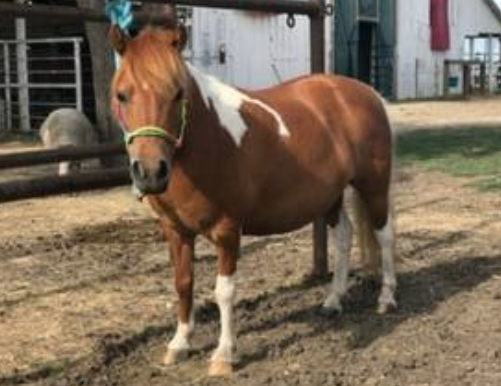 Brie is a 14 year old Rocky Mountain horse. She is almost totally blind and suffers from a condition called heaves-similar to a human having asthma. She takes medicine every day, twice a day. 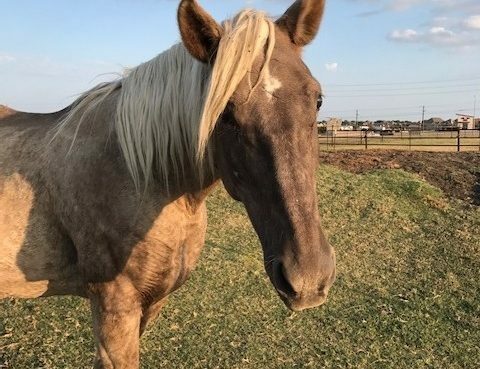 Fortunately, she doesn't let all this get in her way too much – she roams the pasture and lives pretty much a normal horse life. Brie’s medications cost around $1,000 monthly. She is hand fed daily, rain or shine, to make sure she gets all her medications. The compassion shown to Brie has given her the opportunity to live the most normal life possible. 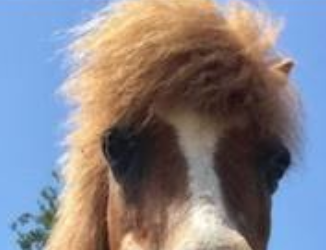 Won't you please consider sponsoring Brie? Bubbles was rescued in Dec 2016 when we went to bail the mini donkeys from the kill lot, this skinny, grey gelding walked straight up to our trailer, past the gates, disregarding the commands of the kill lot employees. He was intent that this was his ride out of there. We stood there staring as this old guy with crumbled ears from frostbite waited patiently for the group of mini donkeys to catch up so he could jump on the "freedom trailer" out of there. It seems that he thought nobody would notice him escaping if he simply mixed in with the mini donkeys! If you need a gift for the animal lover in your life...consider giving them the gift of love by sponsoring Bubbles in their name. He has lots of love to give!